After Chile, the Pritzker Architecture Prize has now been awarded to Spain with the RCR Arquitectes trio, the Catalan office noticed for its handcrafted approach, minimalist and respectful of the genius loci. 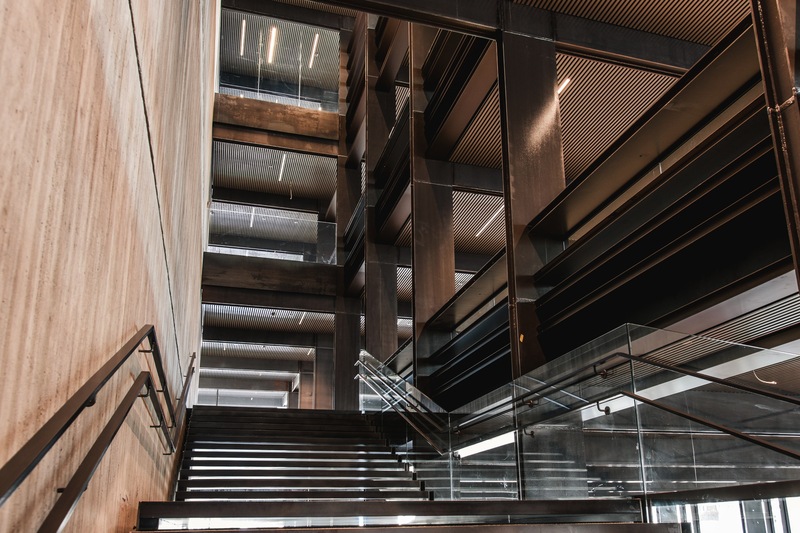 For Tom Pritzker, son of the prize founder, the three architects show a faultless commitment to the site and its history, in order to create spaces conversing with their context. Their ability to intensely relate the environment specific to each site is a testament to their process and deep integrity. 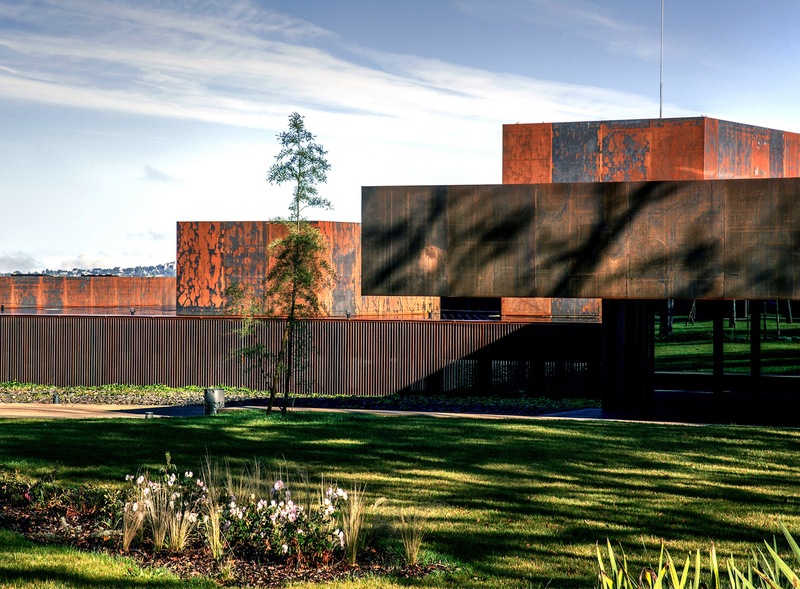 It is like this for all their major realizations, the Rodez Soulages Museum finished in 2014. 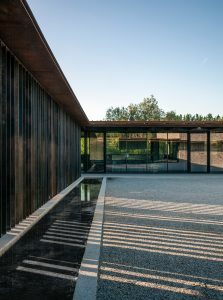 Five oxidised Corten steel parallelepipeds offer a rust tint reminding of the volcanic stone of their region of origin and close to the Aubrac mountains local sandstone. Let’s go three decades back. Rafael Aranda (1961), Carme Pigem (1962) and Ramon Vilalta (1960) met each other in 1987 at the Valles Architecture School, where they were finishing their studies. 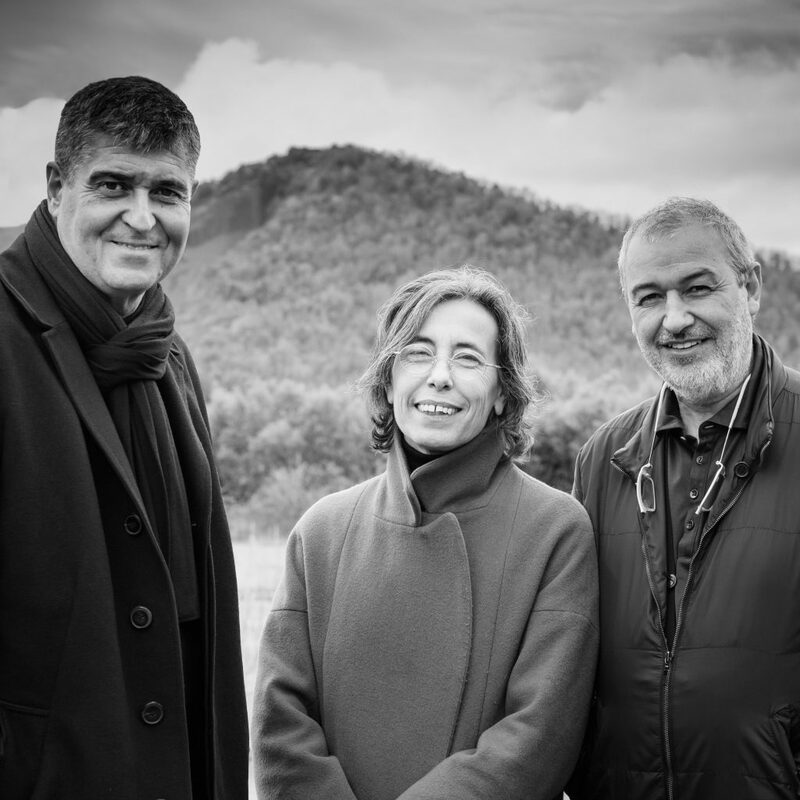 The next year, they founded the RCR Arquitectes office (their three name initials) at Olot, in the Gerona province close to the French border where they were born. Influenced by the Japanese culture, the three architects wish to « make the people feel the nature, the air, the void, the essence of matters ». 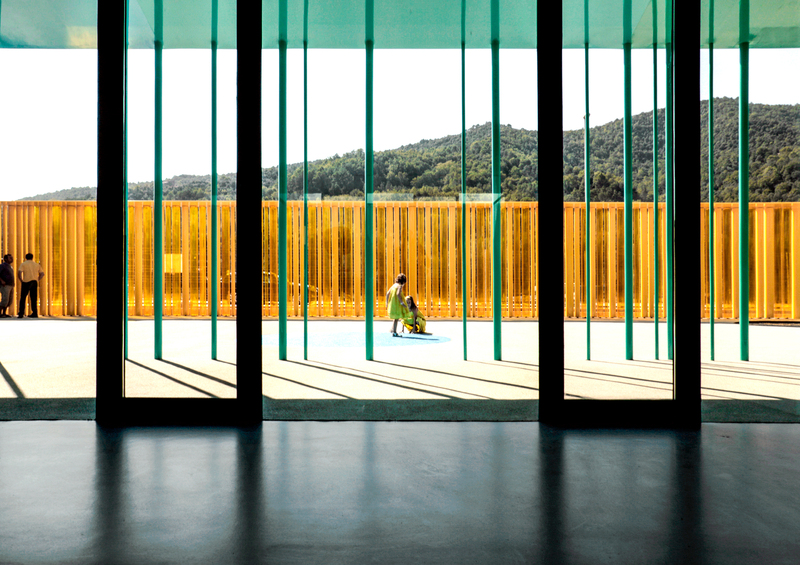 They adopt a handcrafted approach, minimalist and respectful of the close environment. For the Australian architect Glenn Murcutt, their work reflects great respect for the past, while projecting clarity that is of the present and the future. Such, the Barberí Laboratory, their office located in an early 20th century foundry refurbished in 2007 keeps many remnants of the original building. 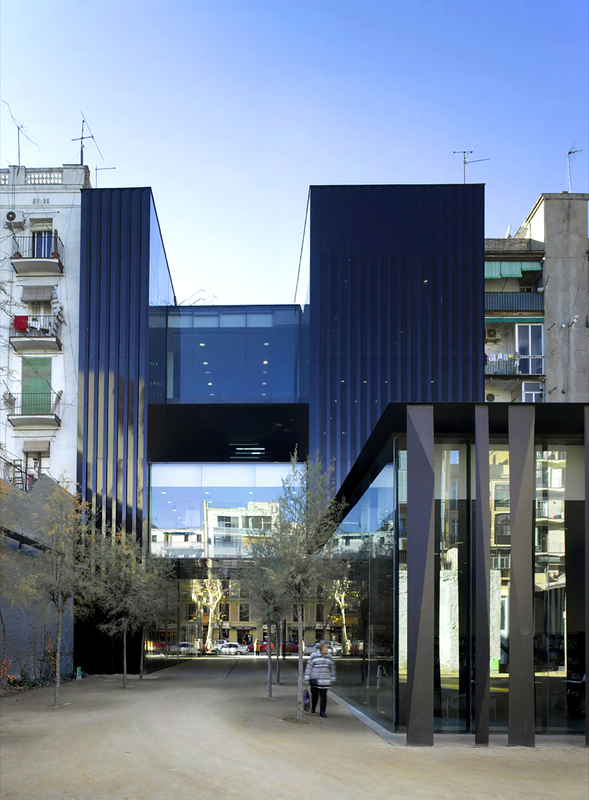 By adding new elements only where needed and in contrasting materials, the architects demonstrate their love for both tradition and innovation. 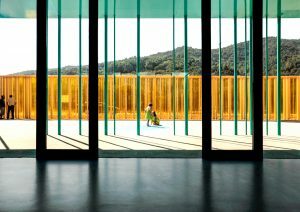 Harmonizing materiality with transparency, Aranda, Pigem and Vilalta seek connections between the exterior and interior, resulting in emotional and experiential architecture. 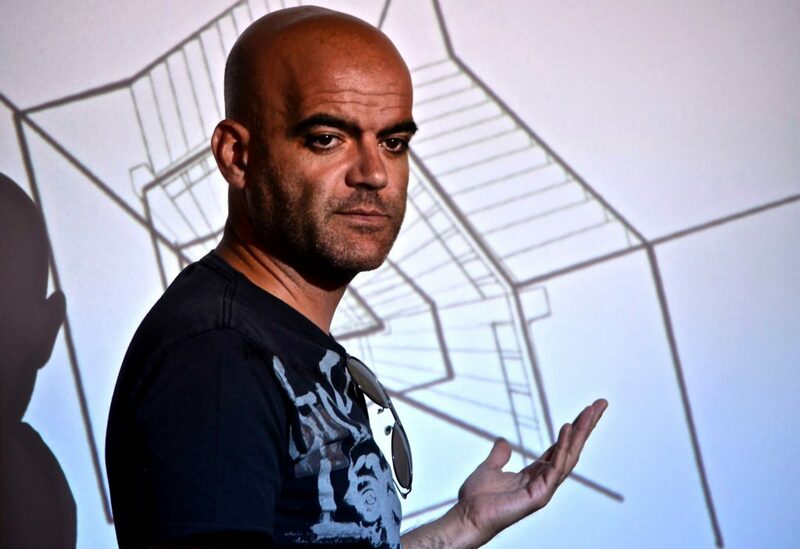 All their works have a strong sense of place and are powerfully connected to the surrounding landscape. 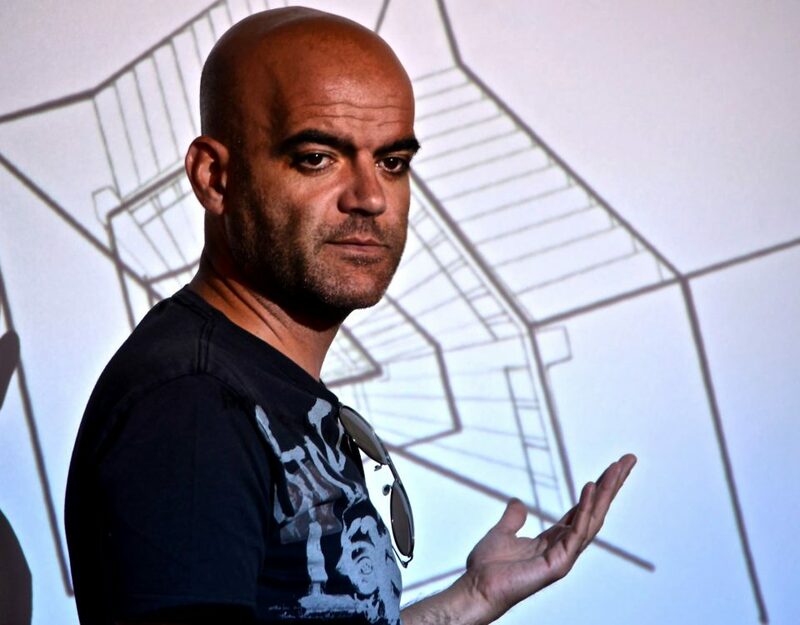 The buildings’ settlements, the choice of materials, the geometries used are always aimed to underline the natural conditions and throw them in the building itself. 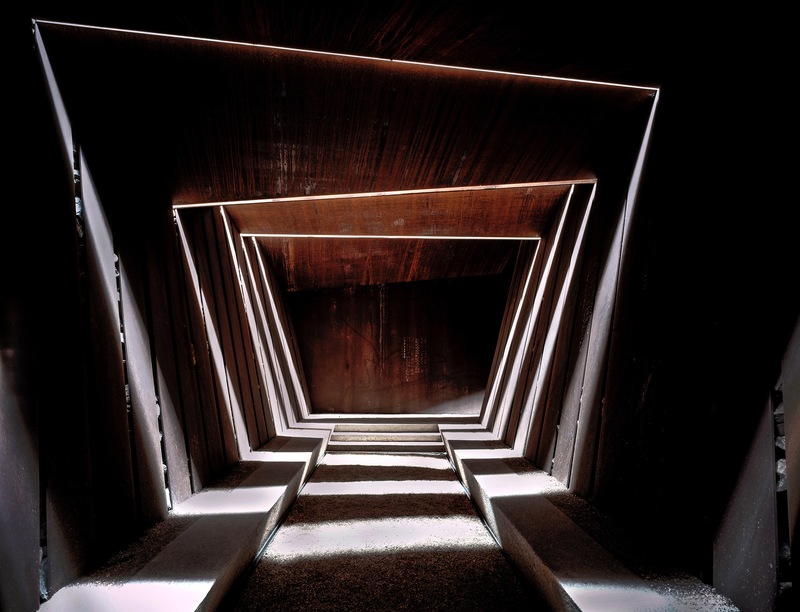 The bodega Bell-Lloc Winery in Palamos (2007), for example, is embedded in the vineyards soil, in dark and fresh cellars needed for the wine ageing. 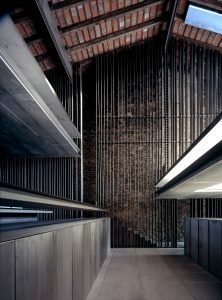 The intensive use of recycled steel merges the building with the earth whilst the openings made between the metallic slats let the light in. The Cols Restaurant in Olot is an other example of fusion between landscape and minimalist modern materials to create a functional site reminding of certain country-style buildings. 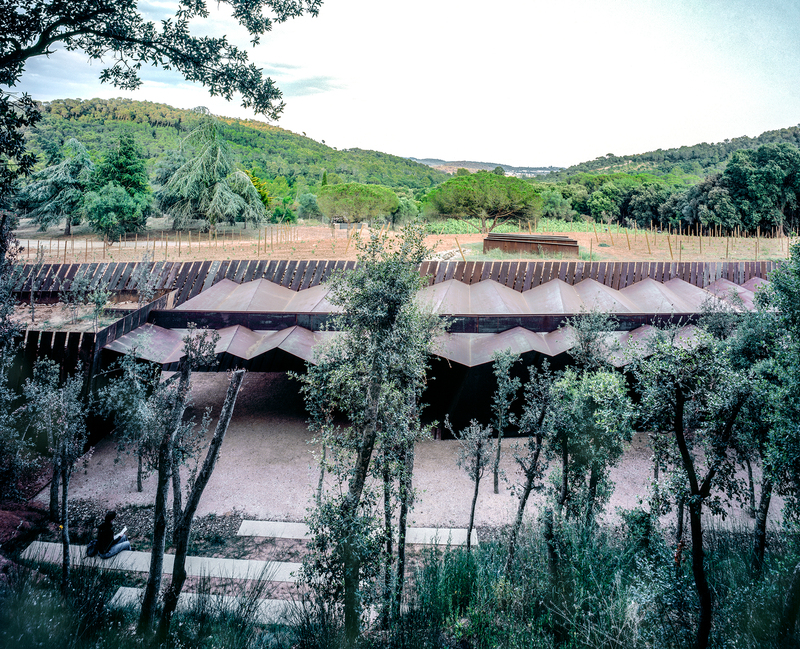 The space sets itself in a valley carved out in the landscape by the architects. 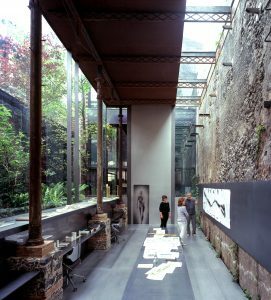 The thick volcanic stonewalls support a lightweight and polymer transparent roof to protect against sun and rain. The furniture and vertical hanging blinds that can sub-divide the space are also of clear plastic, which puts the emphasis on food, festivities and the natural setting. Community is another word that comes to mind when speaking of their work. Both in the bright and colorful nursery school in Besalú, Girona, El Petit Comte Kindergarten (2010) and the Sant Antoni – Joan Oliver Library, Senior Citizens Center and Cándida Pérez Gardens in Barcelona (2007), those who will inhabit the buildings are at the forefront of their concerns .The library, as well as many RCR Arquitectes projects, is situated in an existing city block. The variety of spaces invite for exploration and are casual enough to create a relaxed and friendly atmosphere. 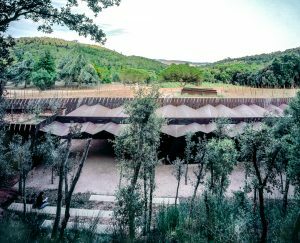 The architects have also undertaken important works outside their home in Catalonia. They have built in Belgium and France, for instance. 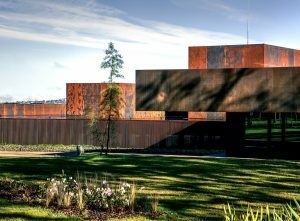 A part from the Soulages Museum (2014) in Rodez, France, for example, which houses the works of the abstract painter Pierre Soulages and forms a symbiosis with the artist, who seems to paint with light, they have designed The Cuisine Art Center, at Nègrepelisse in the Occitan region. Their latest project in the western part of Paris is to create an Art Center covered with ceramics and many terraces with a large concave volume shaped like an open hand. This project would be located at the end of the Boulogne-Billancourt Seguin Island, former site of the Renault manufacturing plants, which now is to become an important cultural pole. 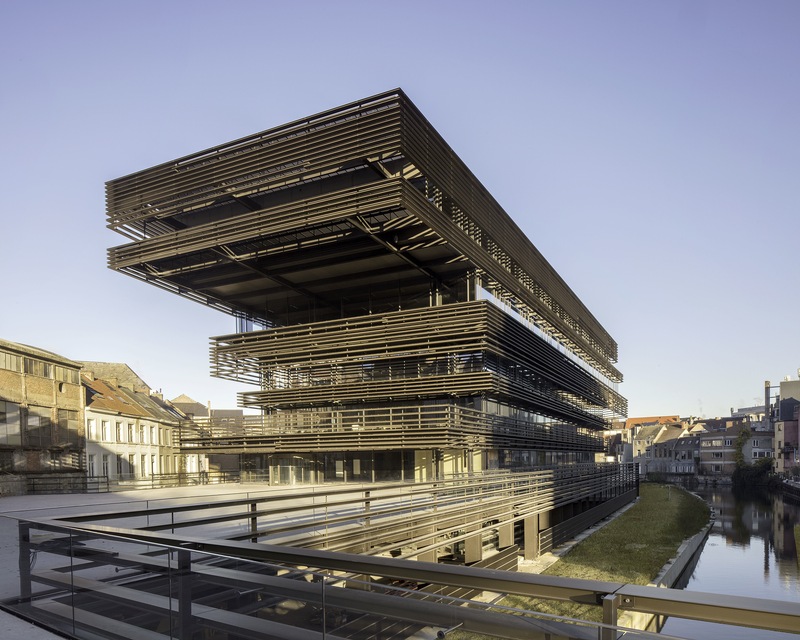 In Belgium, after the crematorium of Hofheide, in association with the office Coussée & Goris Architecten, they have just finished the realization of De Krook city library and media center in Ghent, which seems to challenge the gravity laws like many of their buildings. 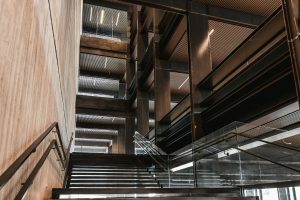 Great horizontal surfaces and the overhanging beams create parallel lines strengthening its magic, where criss-cross the complex spatial uses. Established in an urbanized area, the building is based on a sustainable energy concept with passive and active measures. 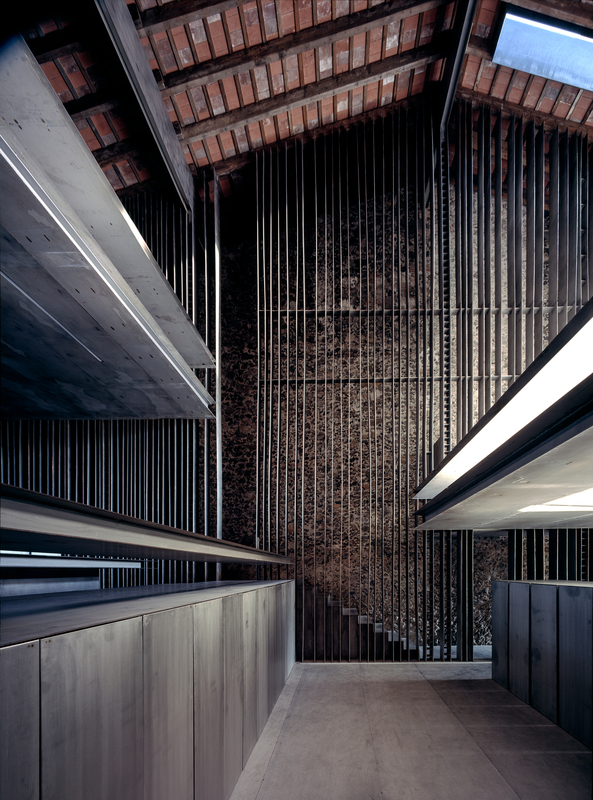 The technical facilities used are integrated in the structure and even contribute to its architectural form. We live in a globalized world and we must count with the international influences. But more and more people fear that, because of this international influence, we will lose our local values, our local art, and our local customs. 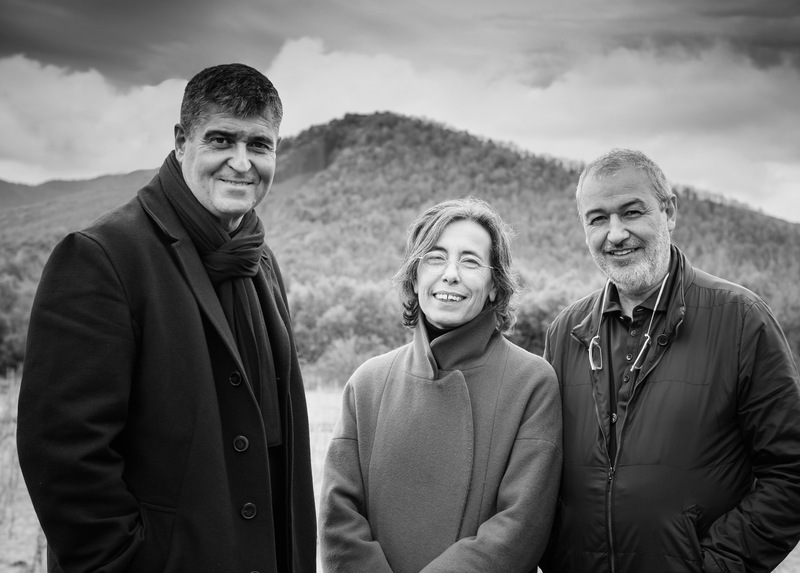 Rafael Aranda, Carme Pigem and Ramon Vilalta will help us to see, in a most beautiful and poetic way that we can, at least in architecture, aspire to have both; our roots firmly in place and our arms outstretched to the rest of the world.